1973 Many Surfers were sailors. Brian Holman and young crewman with the timber “VJ” on the roof racks of the Valiant “Safari”. Check out the Wanda Sandhills in the insert photo. 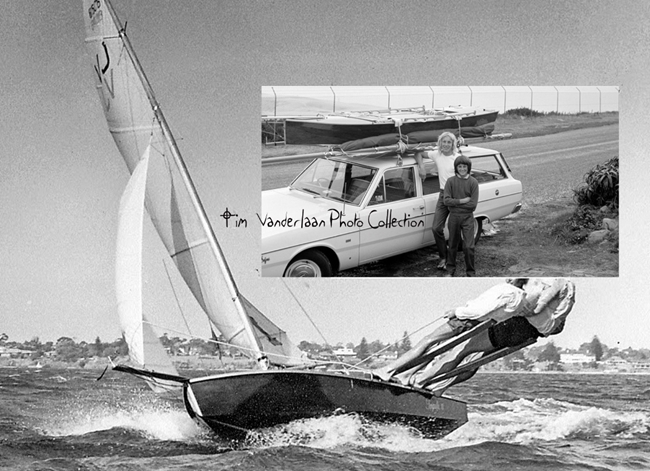 Tim Vanderlaan Photo Collection.